Posted on April 27, 2015 December 2, 2015 by Michelle L.
I am so excited to bring you news of the most amazing range from Bobbi Brown, from their latest #LONGWEARLIFEPROOF campaign. Photo courtesy of Bobbi Brown’s Instagram. The #LONGWEARLIFEPROOF campaign is in partnership with four of the world’s greatest female extreme athletes: American World Cup alpine ski racer and Olympic Gold Medalist Julia Mancuso; three-time Olympian and seven-time X Games Medalist, snowboarder Hannah Teter; World Surf League Longboard Champion and professional surfer Kelia Moniz; and world record BASE jumper and shark diver Roberta Mancino. 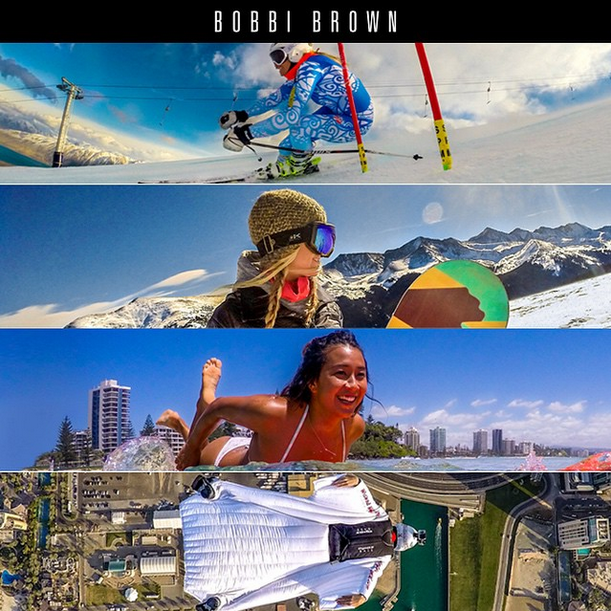 Outfitted with a GoPro camera, each athlete captured raw footage of herself in her sport wearing Bobbi Brown Long-Wear eye makeup and foundation, showcasing how they live life to the extreme and how—throughout it all—their Long-Wear makeup remains water-proof, smudge-proof, sweat-proof, and above all, life-proof. This woman is out in the snow all day, and the harsh, cold weather cannot be good for the skin. Her footage of her downward slope descent is crazy though, check out her video here. This girl’s got attitude! She snowboards the way I always wished I could, but end up flopping face-down into the snow. Her snow bank spins are just awesome, see her in action here. Extreme sports is her forte it seems, because I could never dive off a plane with such ease like her. I like her suit though, looks like a flying squirrel, doesn’t it? And you have got to see the footage of her petting those sharks underwater, so cool! One of the products I am most excited about in this range is their first-ever long-wearing brow pencil, Perfectly Defined Long-Wear Brow Pencil, that has a 16-hour staying power, and a convenient dual-ended design. It’s the perfect tool for Bobbi’s low-maintenance, natural take on this season’s coveted, well-defined brow look. I’m all for brows and so far, have not found a reliable product for them. 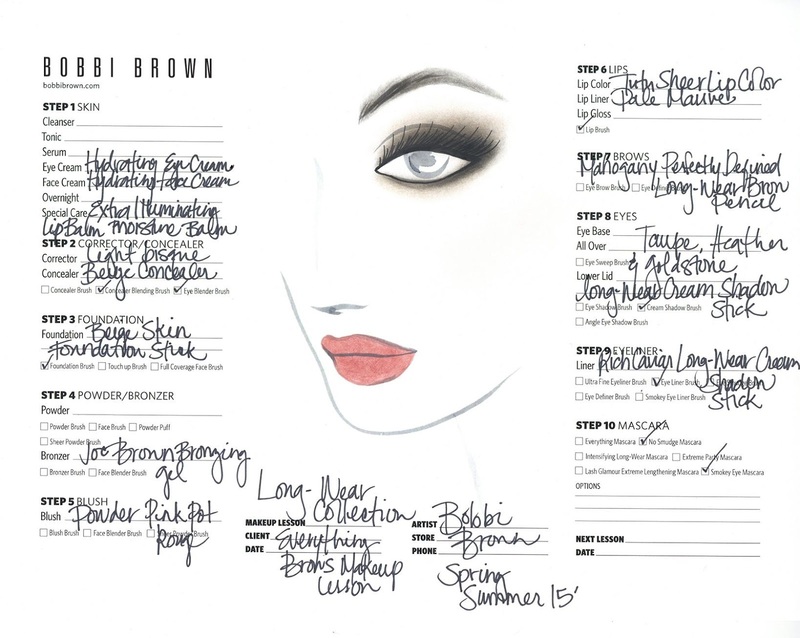 Below I have a makeup-routine-sheet for use with the new range, courtesy of Bobbi Brown. Enjoy! 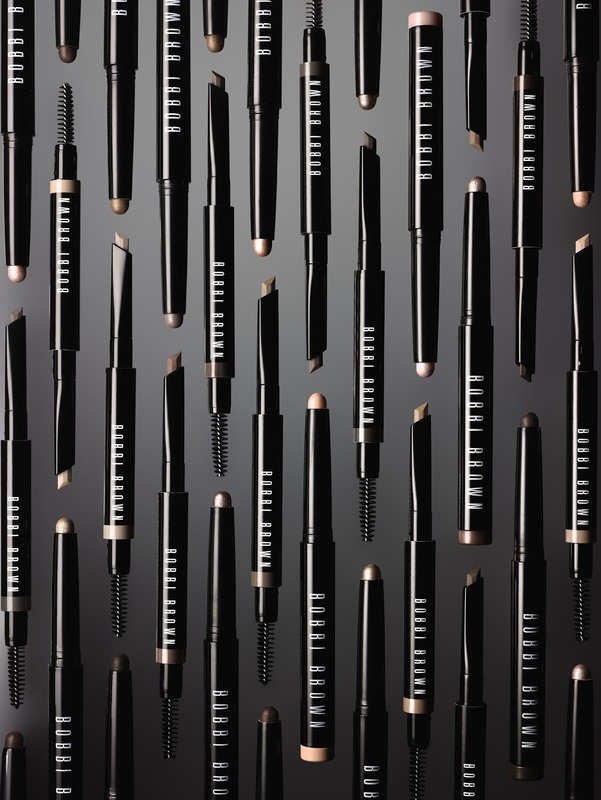 The Bobbi Brown Long-Wear collection will be launching in May 2015.